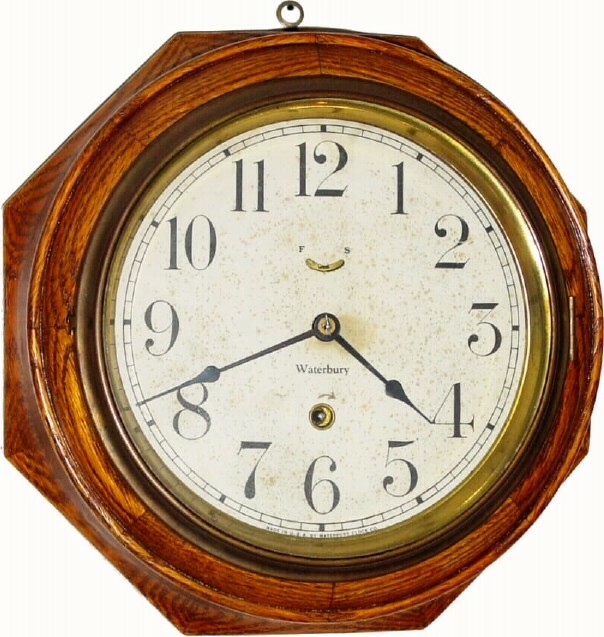 C.1914, Waterbury Clock Co., "OAK LEVER" 8-day gallery timepiece. These octagonal cases are made in 8 sections, glued in 2 tiers and turned round at the bezel. This example has been refinished to a dark golden color. The original 8" dial has some age spots, but is otherwise excellent. Height 10-7/8"